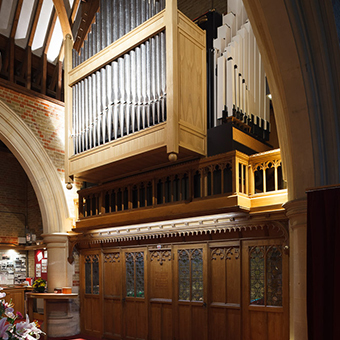 The organ, which was originally tucked away unnoticed, in the side transept, was relocated to the rear of the church for improved acoustics. 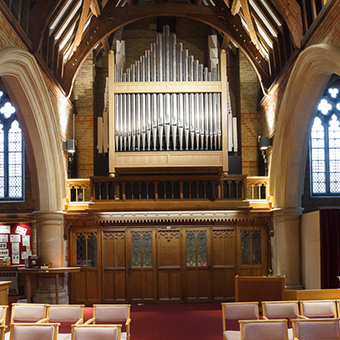 The organ itself was completely remodelled, reconditioned and then set onto a new balcony with the new organ pipes singing out over the church. 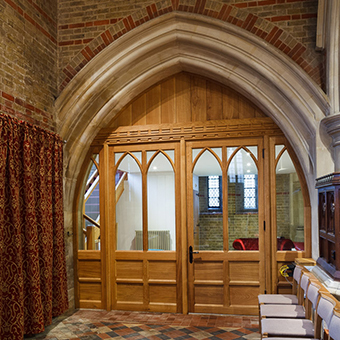 Underneath the pipes, we relocated the tower screen further into the church to create a large chapel space behind and added new leaded glass doors to match the original. 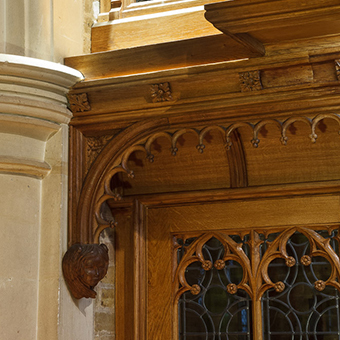 The North Transept space left over from the previous occupation of the organ, had highly crafted carved oak screens designed into the stone arches to separate off this new heated space. 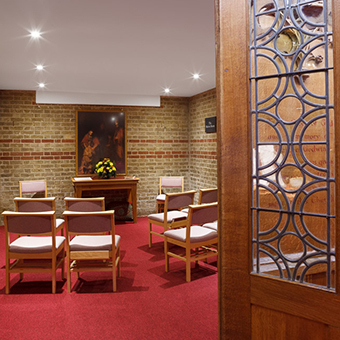 A first floor, stair and WC was also added creating an additional young group space and choir space within the church. 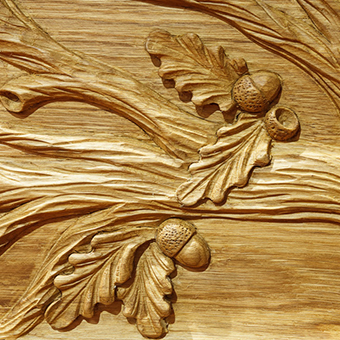 The carved screen depicts an oak tree, as the church is nestled right within the wood and the tree also represented new life to the church building and community. 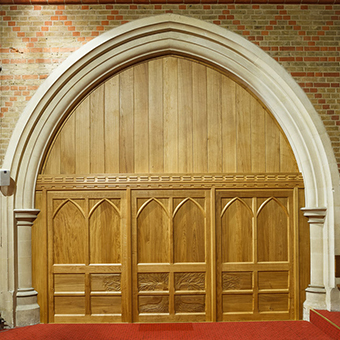 The Church won the top Diocese of Chelmsford Design Award.